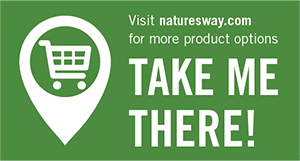 Enzymatic Therapy® is now Nature’s Way®. Two brands with rich heritage, made even stronger together. Quality is our top priority, with Good Manufacturing Practice (GMP) certifications from two leading agencies, and an organically certified, certifed kosher and Parve manufacturing facility, we are a pioneer of science-based supplement development with a pharmaceutical-minded commitment to quality.